The 6-week run with special guests Against Me! will begin in Phoenix, AZ on March 1 with shows scheduled into early April. Presale tickets will be available to Idiot Nation members on October 12 at 9:00 AM local time, with general public seats available October 14 at 10:00 AM local time. Green Day recorded their 12th album at frontman Billie Joe Armstrong’s new studio in Oakland, CA. 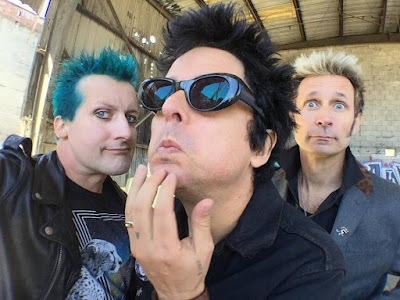 Green Day recently performed the project’s lead single, “Bang Bang”, on The Tonight Show and played a mix of new tunes and classics on The Howard Stern Show.